Do you want a brand new shiny home but don't want all the additional expenses of window treatments, washer, dryer, refrigerator, irrigation and more??? 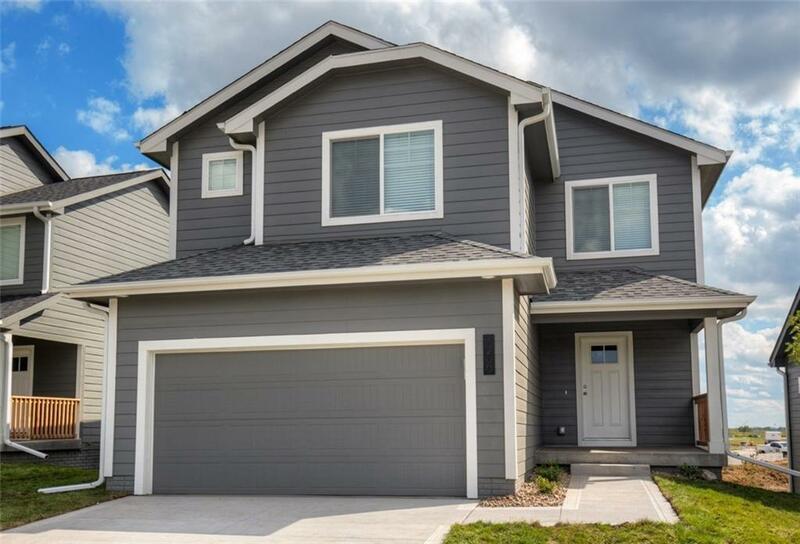 This 4 bedroom, 3 bath two story with open main level features stunning hard surface flooring throughout accented by white trim. Large kitchen with espresso cabinets to the ceiling, center island, white subway tile backsplash, and stainless steel appliances (including side by side fridge). Hard surface flooring continues through the dining area and family room with fireplace. Lockers off garage give you a place to store all the extras! Upper level master suite w/ own bathroom and walk-in closet. 3 others bedrooms share an additional full bath. 2nd floor Laundry room is super convenient & WASHER & DRYER is included! Irrigated yard too! So much bang for your buck!